If you’d like to sponsor Sidney, please select your sponsorship frequency below. 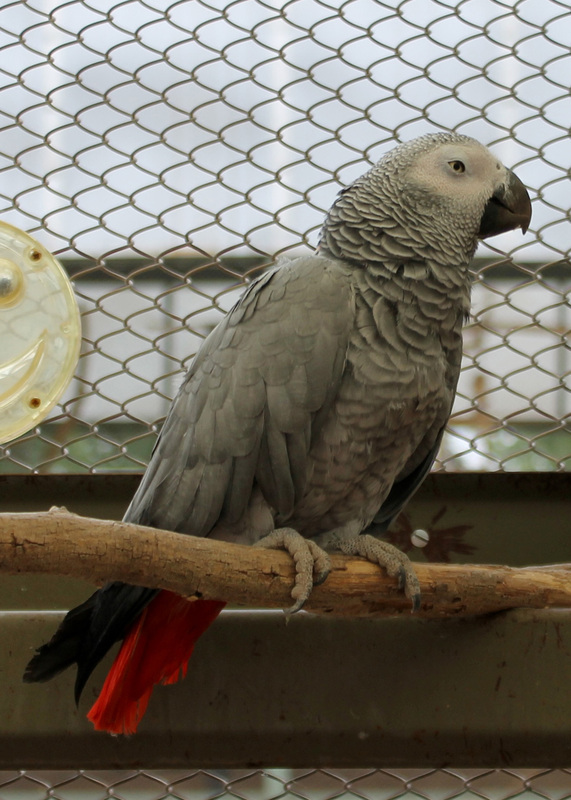 Sidney is a domestically bred female Congo African Grey who hatched in 1995. She arrived with her friend, JoJo, a male Congo African Grey but they do not have a pair bond. She and JoJo arrived at The Oasis in September 2011. Sidney is playful and loves to talk, sing and make typical “Grey” noises. Upon release into the Aviary, Sidney make friends quickly. Her flight skills were not great at first but she has a great ability to make use of the whole aviary. Note that Sidney has a lower beak deformity, possibly from an early injury that caused a permanent germinal tissue split. We groom Sidney’s beak regularly so she is in great shape.